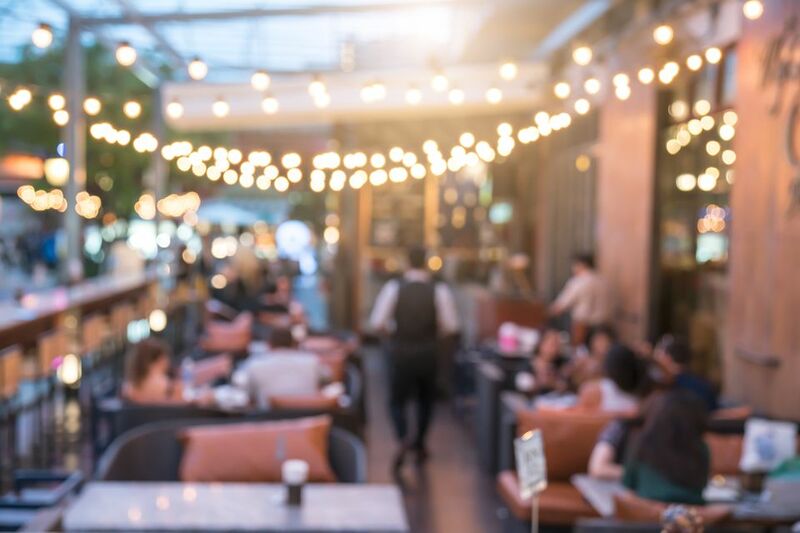 A large number of restaurants in Oklahoma City offer outdoor patio seating, but at many, you may be left just staring at traffic. If you're looking for that perfect outdoor experience with great views and comfortable patio seating, here are the places to go in OKC. Redrock is one of several restaurants overlooking Lake Hefner, the picturesque horizon dotted with summer sailboats. It stands above the rest because of the exquisitely relaxing experience, perfect for a romantic evening or a comforting Sunday brunch. Live music can often be found, and the fire is wonderful, particularly at night. Any of the restaurants along the beautiful Bricktown canal would be a good choice, of course, but a must-try is the New Orleans-style selection at Jazmo'z Bourbon Street Cafe. The patio area is covered, located right down along the canal, and you get a good view of both the passing water taxis and the horse-drawn carriages on Oklahoma Avenue above. If you have to settle for a view of a city street, you can't get much better than West. The large, open-air seating area stretches around the restaurant and overlooks the Bricktown streets below. Talk about a fun spot and a great atmosphere. Sample the unique and terrific Brazilian specialties while you enjoy the live music, and then head to the deck of the upstairs Club Bossa Nova. Exotic drinks accompany a nice view of the surrounding Midtown area with the downtown skyline just in the distance. What a transformation Uptown NW 23rd has had in recent years. There are many wonderful restaurants with patios along the stretch - Cheever's and Pizza 23, just to name a few. For something a little bit different, head to the rooftop bar at Guyutes. It's a great, active space to enjoy the elevated street food. Packard's New American Kitchen in Midtown has a large rooftop patio. The view is excellent, and the entire area can be reserved for a private party. Oklahoma City's Paseo Arts District is unique and has a great vibe. The patio area is quite relaxing at Paseo Grill and is the ideal spot to enjoy a drink or some of their very good food. Bellini's patio seating wraps around the restaurant and overlooks the Waterford complex's duck pond, a simple and serene view within the surrounding hotel and office complex area. Those working in the area already know this to be a great place to relax and dine outside at the end of a long day.